James Joyce (1882-1941) is most famous as a novelist and the author of Ulysses . He was also a skilled poet, however, and his first published work, Chamber Music (1907), was a book of poems. 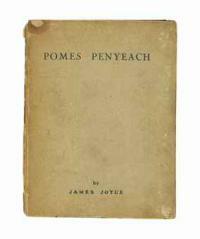 He wrote poems throughout his career, and in 1927 he collected thirteen of the shorter verses and published them in a slender volume entitled Pomes Penyeach . It is from this collection that I chose “Simples,” “Tilly,” and “Watching the Needleboats at San Sabba.” Incidentally, these were my very first compositions, written in the fall of 1991. Your browser does not support the audio element. Please upgrade to a recent version of Firefox, Chrome, or Safari to hear this content.